If you want to turn PDF to flash book with animated effect, you can use Online Flipbook, a free online tool provided by VeryPDF Online Tools, to turn your PDF into flash online easily and quickly. The illustration below shows the effect of a flip book created by this free online tool. For Whom Online Flipbook is designed? Online Flipbook is specially developed for mobile device users who like reading but don’t want to bring their book everywhere. If you have a smart mobile phone, an iPad, a laptop and can connect to the web, you can read everywhere at anytime. 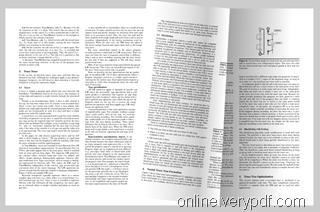 VeryPDF Online Tools provides good services to facilitate the access to your PDF documents. Why choose Online Flipbook ? Read PDF stored in Cloud —You can use Online Flipbook to turn PDF stored in Cloud or on servers like dropbox into flash book, and then enjoy reading anywhere. Quickly upload and convert —Advanced methods are used to make sure that your PDF file can be quickly uploaded and converted. No need to wait long. Smoothly flip pages —The pages of the created flipbook can be turn smoothly. Touch the screen of your mobile phone or device, you can flip the flash book pages as you like. User Friendly interface —Tou can use the tool buttons to turn pages forward or backward, zoom in or out pages, fit pages to the screen, move pages, etc,. Share flipbook online instantly —You can share your flipbook online instantly through email, blog, Facebook, twitter, etc. Safe and secure —The PDF file you uploaded to VeryPDF Online Tools won’t be used, distributed or stored. VeryPDF Online Tools regularly deletes such data regularly. Change skin freely —You can change the color of the background, buttons, navigation background, tool bar of the created PDF. Totally free —This online PDF to flash creator is a totally free online flash creator. Wanna use Online Flipbook to create funny animated flipbook right away? click the button below to start using it to convert your PDF to flash!